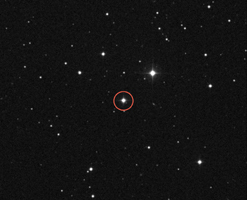 At the center of this image is the star AC +79 3888, also known as Gliese 445, located 17.6 light-years from Earth. NASA's Voyager 1 spacecraft, which is on a trajectory out of our solar system, is headed toward an encounter with AC +79 3888. 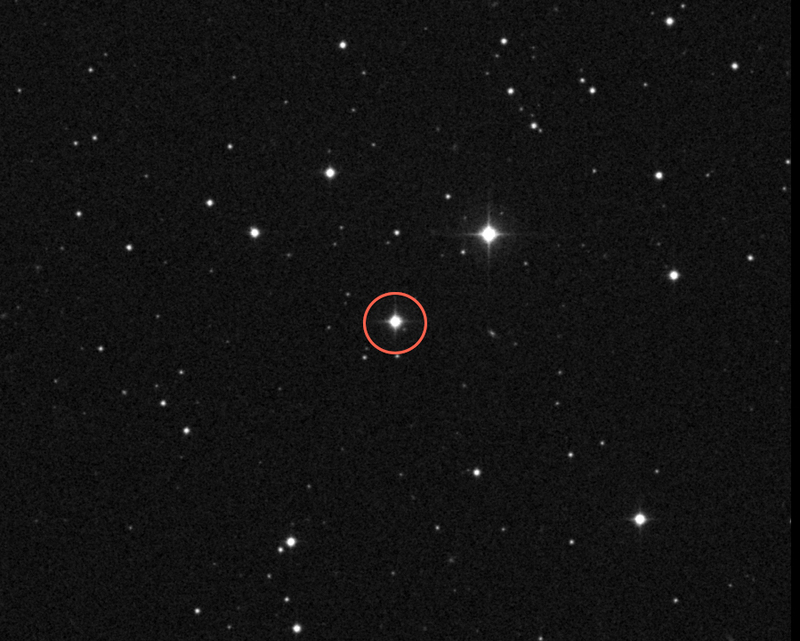 In about 40,000 years, Voyager 1 will be closer to this star than our own sun. The image was taken by the Oschin Schmidt Telescope near San Diego, Calif., on April 22, 1998. This telescope is operated by the California Institute of Technology and Palomar Observatory. An annotated version circles AC +79 3888 in red (Figure 1).